More amazing news from Cart2Cart! At very last we established the support of migration to CoreCommerce -- an innovative hosted shopping cart with prominent past and promising future! Now you can perform a seamless CoreCommerce import from over 75 most popular shopping carts automatically. CoreCommerce has made a long way. Established in 2001, it became an industry standard for hosted shopping carts. When Cart2Cart appeared, CoreCommerce was among first e-Commerce platforms we added to our list of supported ones, however, available for export only. Today, we finally got things right. 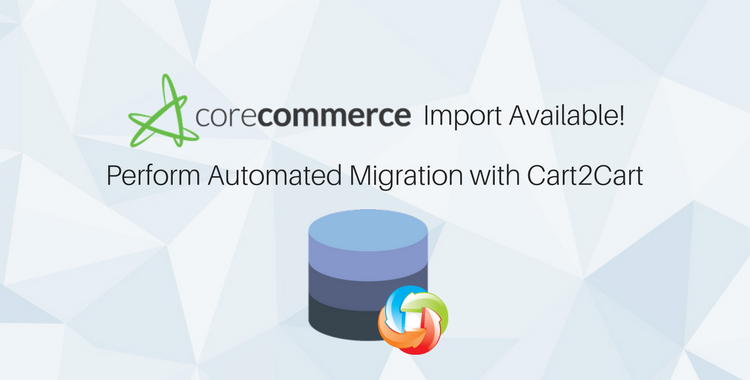 Store owners worldwide now have a chance to migrate to CoreCommerce and move products, customers, orders, categories and manufacturers easily. With Cart2Cart, it takes just up to few hours to perform a qualitative CoreCommerce import from any popular shopping cart, such as Shopify, Bigcommerce, WooCommerce, Magento and others. Our reliable 24/7 support team will provide you with all the needed info on migration-related questions and help turn your transition an enjoyable experience. Start with FREE Demo migration and move a limited number of entities to a live store in just 30 mins to see how magic happens! Then, you’ll get a chance to proceed with an unlimited data transfer and get you CoreCommerce store packed with all the essential data in a few hours. We wish you the best luck with your business!